Dental implants are an excellent, increasingly popular, permanent solution for missing or extracted teeth. Losing teeth can cause people to be self-conscious about smiling, and can also cause a range of other dental health problems, as remaining teeth are put under increasing strain and may move to fill in any gaps, while the bone beneath empty tooth sockets will slowly resorb (degenerate), causing a sunken appearance to the face. A dental implant is a bionic tooth root, made from titanium. It is pressed directly into the jaw bone in a minor surgical procedure, and can be used to support replacement teeth in the form of crowns, bridges or fixed dentures. As well as being a fixed solution that will not slip out at an inappropriate moment, a further benefit of dental implants is that the titanium is very well tolerated by the human body and is osteoconductive, meaning that it actually supports bone growth and prevents the problem of bone loss. At Crofts Dental Practice, we undertake careful and meticulous planning before the implants are placed. We use cone beam CT scans, also known as cone beam computed tomography or CBCT, to provide 3D x-rays so that our implant surgeon can accurately pinpoint vital structures and carefully position the final implants. Dental implants require enough bone density in the jaw to hold and support the implant. For patients who do not have enough bone, we can carry out bone augmentation and sinus lift procedures to build up the bone. In some cases mini-implants may be used in areas where less bone is available for the implants. 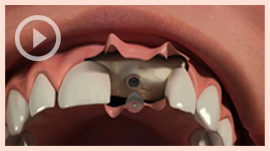 We use the tried and tested Astra and Straumann implant systems, which are among the best available. Implants are usually placed under local anaesthetic, although we also offer treatment under sedation. There are several different options for implant treatment, which will vary from patient to patient and will depend on your wants and needs. Our skilled implant can place a single implant or can rehabilitate your whole mouth using a few carefully placed implants to support all of your replacement teeth. In some cases same-day implants, where your permanent replacement teeth are fitted on the same day as your implants, may be appropriate, while in other cases your implants will be fitted and left to heal for a period of time. In the latter case you may be fitted with temporary restorations. 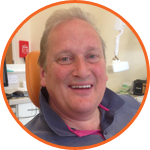 We offer a free consultation with our dentist to see if the practice and the treatment is right for you. At that consultation, the dentist will present you with the best options for your individual case. You will also have the chance to meet our skilled implant surgeon before your treatment begins.